All relationships old and new need a good date night as often as possible. 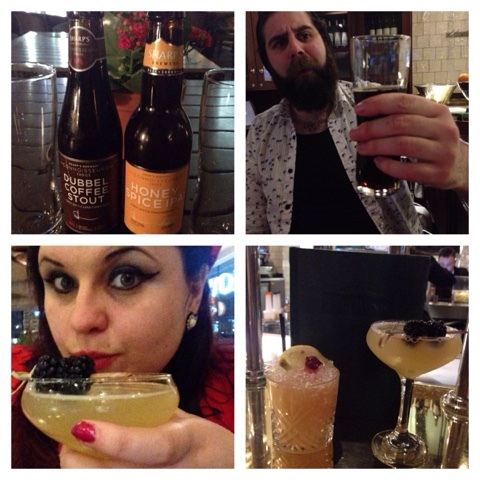 Last week Mr Kaos and myself figured we would have an excuse to get dressed up nice and get out on the town so I thought I would share with you the places we hit up in Birmingham city centre. 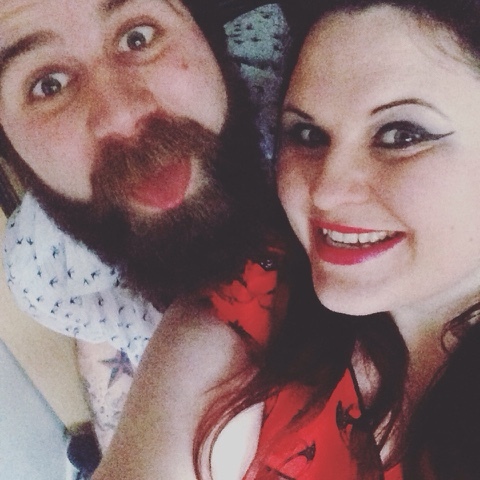 I wore my Voodoo Vixen dress which I recently reviewed. Mr Kaos broke out a shirt and boots and we were ready to go. 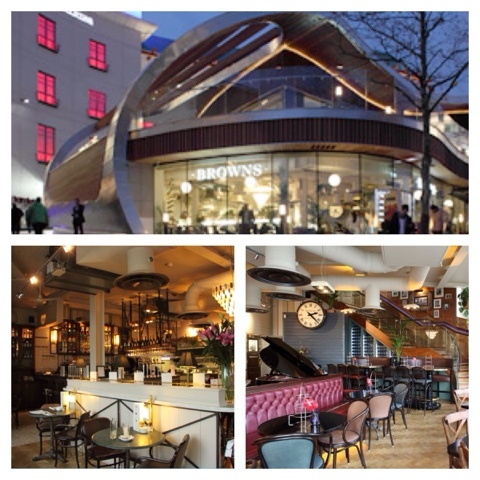 One of the amazing things about living in Birmingham is that there are so many bars, pubs and eateries you can always find somewhere new to try out. Right next to the Bullring by St Martins church is a elegant little bar that we had walked passed so many times but never popped in. Browns has a very friendly and relaxed atmosphere playing ambient jazz and hosting a grand piano. Capturing a warm intimate atmosphere despite being in the heart of the city. The staff were very friendly and instantly make you feel at home whether you are having a meal or just a quite drink. Cocktails were on our cards and although we weren't eating I did have a peek at the menu. The food seemed reasonably priced and looks delicious. I hope to go back to sample the menu very soon. Being the bar flies we are we wanted a quiet drink where we could have a chat and bat eyelashes at eat other. The drinks menu holds a whole host of craft beers, cocktails, wines and more. We started off with a Sharp's each, I opted for the honey spice IPA which was a sweet honey beer with a hint of black peppercorns. Mr Kaos had a dubbel coffee stout rich and dark full of coffee and chocolaty flavour. Before 7 on certain days the cocktail menu has some drinks for £5 which is a fantastic offer we couldn't pass up. Mr K went with a traditional whiskey sour with Chivas's regal whiskey lemon and a sugary rim, I however was swayed by the delicious British Royal a mix of black cow vodka, rose hip and rhubarb cordial with apple and topped up with prosseco, garnished with juicy blackberries. Over all we were rally impressed with Browns but it was time to move on music called. 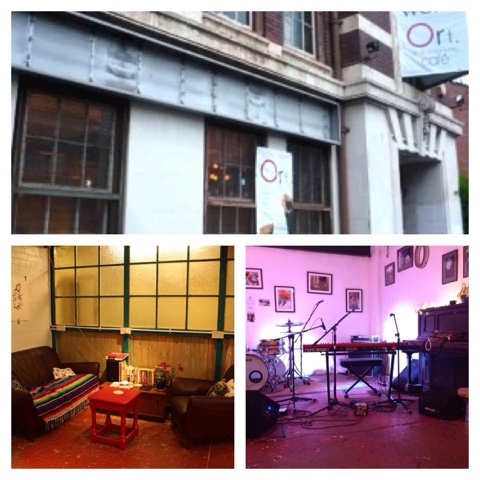 A little outside of town bordering high gate and Mosley is a cosy coffee shop turned venue called Ort cafe. You can get there by using the 50 bus at night or in the day take a stroll through Digbeth and take in the street art. I have frequented Ort before for poetry readings but never for music. At a cheap £6 to see Ben Caplan a musician Mr Kaos and myself love I couldn't believe our luck. The door prices are kept reasonable often hosting free shows. The walls are lined with local art work. A comfortable intimate venue for both drinkers and straight edge people a like you can order tea or beer with your music. We snuggled on a sofa through support acts and got up for a dance during the main act. You can catch more information about Ort and the gig in my last post. Overall we had a lovely night out and look forward to next date night. Where do you like to go for your date nights? It looks like you had a lovely night. I adore date nights - especially when we go out for food!